Welcome to the Lenscraft in Focus Newsletter February 2019. Last month some readers noticed the article “Are UV Filters Worth it?” didn’t have a link. Ordinarily, I include a link in the heading image for each newsletter item and usually in the text as well. Unfortunately, my technology took over and stripped out all the image links, so I want to apologise. But this mistake also made me realise a lot of Lenscraft readers aren’t aware of some of the site’s features. You can read about these later in the newsletter. The New Year has brought quite a few new software releases and upgrades. I’ve been busy picking up some of these in the sales, with a view to sharing my thoughts about. Some of the new tools include Luminar v3, PhotoLab 2 from DxO and a few plug-ins from Know-How Transfer. You can read about a couple of these later in the newsletter but to kick off this month I want to tell you about a couple of printing articles I’ve published. It’s one area that seems to cause a lot of problems for people and I regularly get emails asking for help. Quite a few members have contacted me to say they are struggling to Print and/or Soft Proof their images using Affinity Photo. In a lot of cases, people have switched from printing in Lightroom and are finding the process in Affinity unintuitive. To help address the problem I published a Lenscraft tutorial “Affinity Photo Printing for Photographers”. The tutorial also includes a 10-minute video demonstrating how you can Soft Proof using Affinity Photo. A few years ago, I experienced an annoying printing problem in Lightroom on my Windows PC. Images that were colourful and vibrant on screen become dark, muddy and had a strong green tint when printed. The problem has never gone away, and it caused me to switch to printing from my Mac (I’m certain it’s a bug in Lightroom). Then the other day, the Mac I now use for printing, developed the same problem. But this time it wasn’t just Lightroom, I couldn’t print correctly from any software. Interestingly, one of my friends experienced the same issue. This article explains my printing problem further and how I have fixed it. You might not realise but the Lenscraft website has a couple of very useful features you can use. Each week I receive quite a few email requests asking me to change email addresses for members. What most people don’t realise is that you can do this for themselves. If you look in the Members Area menu you will find the page “My Account Profile”. Here you will find a section as shown below. Enter a new email address. When you change this, all future newsletters and communications go to that address. You can also change your password for Lenscraft at any time using this section. I also receive quite regular emails asking about articles I have written in the past. People also ask if I have written an article about a certain topic, they are interested in. What they don’t realise is that there’s an excellent search tool built into the website. Click the magnifying glass icon to the right of the menu and a search box will appear. Enter the term you want to search for (not just a single word), for example “Photo printing”, and press enter. This then displays a list of articles that best match the search term. You can then click the one you want to open and read. If you follow my YouTube channel, you may have seen my videos about Frequency Separation. One of these covered a Photoshop plug-in from Know How Transfer called WOW! Frequency Equalizer. Last week they launched a new version of this plug-in and I was fortunate to get a sneak preview allowing me to produce this video. If you haven’t come across Know How Transfer before, I recommend looking at their range of plug-ins for Photoshop. They are effective, serve a genuinely useful purpose and are very easy to use. It’s been a long time coming but Luminar v3 is finally here. There are a few new filters, but the main news headline is that it now has a photo library manager. I’ve only taken a quick look at the software so far, but I think it will please a lot of people searching for a Lightroom replacement. If you just want a simple alternative to organise and browse your photo’s this could be it. Don’t expect all the bells and whistles of Adobe Lightroom though. For example, the ability to add keywords and search for images using these hasn’t yet arrived but it’s in their plans. If you’re interested in what else is coming, here’s the link to their roadmap. If you already own Luminar 2018, Luminar 3 is a free upgrade. You can login to your Skylum account and download a copy. If you don’t yet own Luminar and are considering making a purchase, REMEMBER there’s a $10 discount for Lenscraft Members. You can find the details on the Discounts page in the Members Area of Lenscraft. First, a big thank you to the 85 Group of Photographers in Hazel Grove who made me so welcome on Tuesday. The weather conditions were quite treacherous, so it was nice to see so many members and potential new members. This month I will be giving presentations at Poulton Photographic Society on the 14th February. Then it’s back to Bacup Camera Club on the 27th February. If you’re near to one of these locations and fancy coming along, please contact the club to make arrangements via their website. I don’t have any presentations in March but will be back at Bishopthorpe Camera Club near York in April. I will publish details nearer the time. Some of the interesting sites, articles and photographers I’ve found on the web. You may already know about exposure blending with Photoshop. This is where you take multiple exposures and blend them together to create a single image with a better exposure. But have you come across time blending? You would use this when no single image captures all the action you want in your image, so you combine multiple images from a sequence. An example of this might be when shooting a grand landscape covered with small patches of light where the sun breaks through the cloud. Except that there was only a couple of patches of light in any single frame. But by blending together a sequence of shots taken over say 5 or 10 minutes, you can bring together different light patches and clouds. Another good use for this technique is when shooting seascapes as Greg Benz shares in this YouTube video. You may already know about Greg as he produces the excellent Lumenzia software to help with Luminosity Masking in Photoshop. Yes, it’s another of the tools I have. This is the section where I like to introduce one or two photographers that you might not know about. If you pay them a visit and like their work, say hi and let them know. It’s always nice to receive a compliment. Callum is a Landscape and Adventure photographer from Vancouver with some spectacular shots on his website. I particularly like the shot of a dramatic slab of rock covered in snow that appears on his home page. 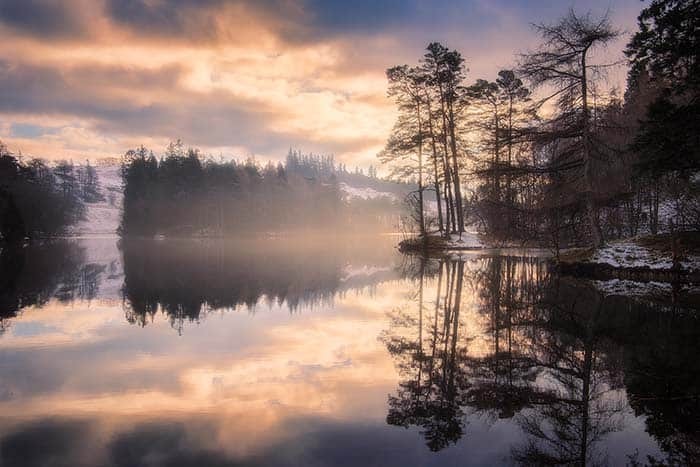 His website is well worth visiting and he also has a large Instagram following, again with some excellent shots. Well, okay. You may already have heard of Michael or possibly like me own one of his books. I make no apology for including him here as I really love his work. In particular I wanted to share this link to a review of his best images for 2018. Latest news on my books and photo courses. 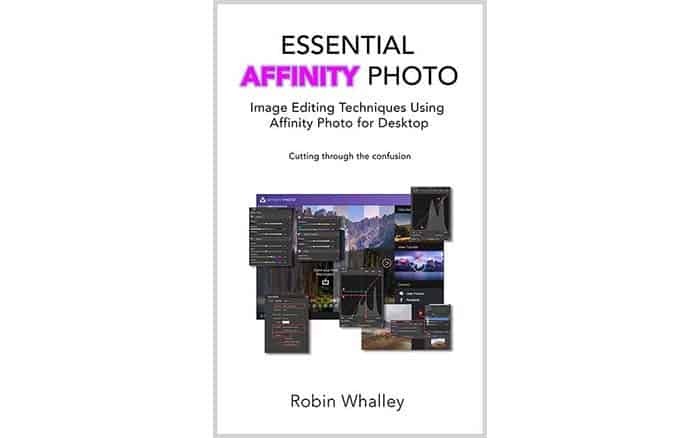 The Affinity Photo Book is finally nearing completion and will be available in the next 10 days. The eBook comes first on Amazon and then shortly after my website, Google Play, Apple iBooks and others. A print version will also be available on Amazon but it’s likely to be a couple of weeks after the eBook. I will send out an email to announce publication. Although I haven’t mentioned it, I have another couple of projects underway. The first is a more advanced version of my Photoshop Luminosity Masking course. 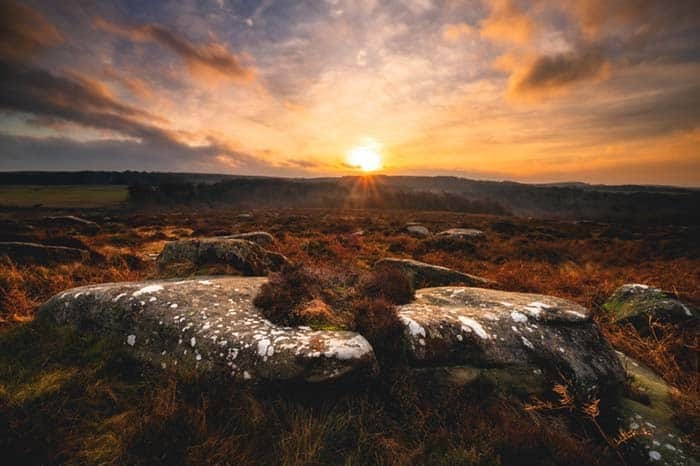 The original course explained how to create luminosity masks and put them to work using a couple of full examples. The new course is more advanced and look’s at different techniques you can improve using Luminosity Masks to make targeted adjustments. It will be very hands on and include lots of examples to follow. The other project is a rewrite of my Essential Photoshop book. When I wrote the book, there was a deliberate decision to use an old version of Photoshop. This is because lots of people contacted me, unhappy about the direction of Adobe and didn’t want to move to the Creative Cloud. Essential Photoshop not only helped people learn Photoshop, it helped them learn techniques that are timeless. The same techniques described in the book will work with a version of Photoshop from 20 years ago as well as the latest version of Photoshop CC. That’s why I used an old version of Photoshop. Now the world seems to have moved on. Many readers want the book illustrated with the latest release of Photoshop CC and are also asking for a print version. I am therefore reviewing and updating the information/screenshots. I will publish more details once it’s available. Read the Lenscraft in Focus January 2019 newsletter.